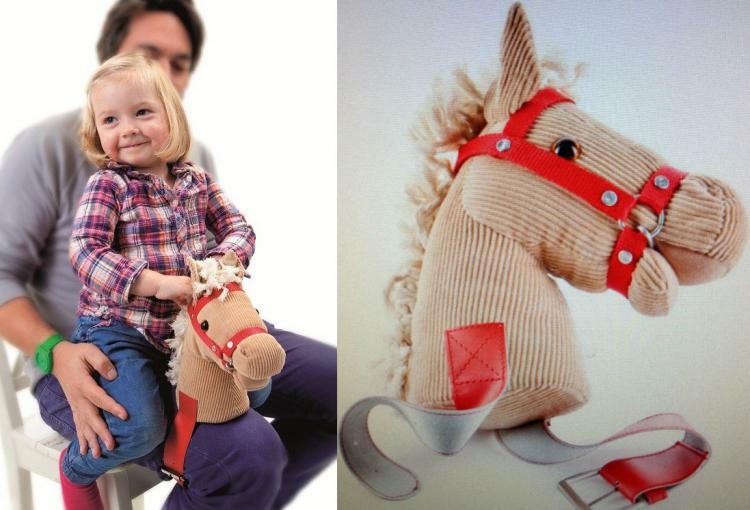 The knee horse-riding kids toy is used by buckling the device around the end of your leg. 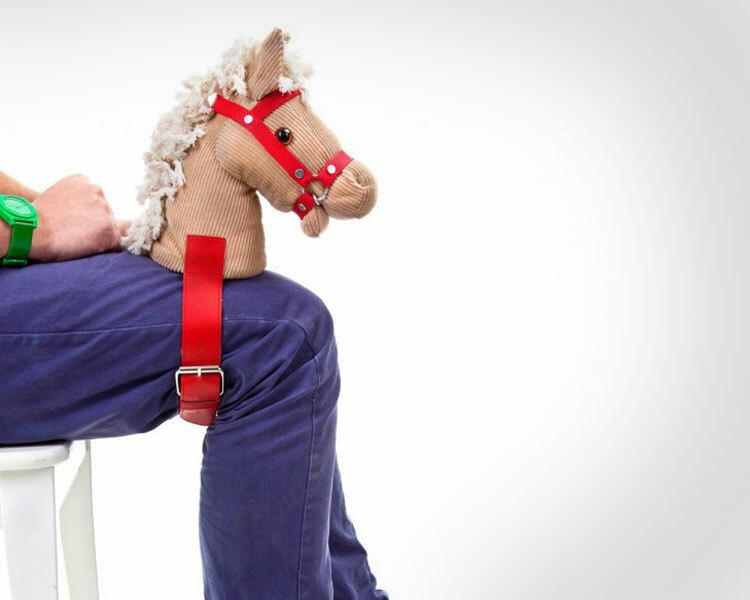 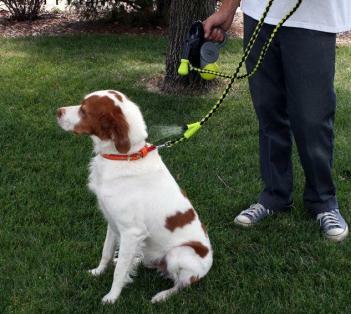 The horse will then stand up on your leg. 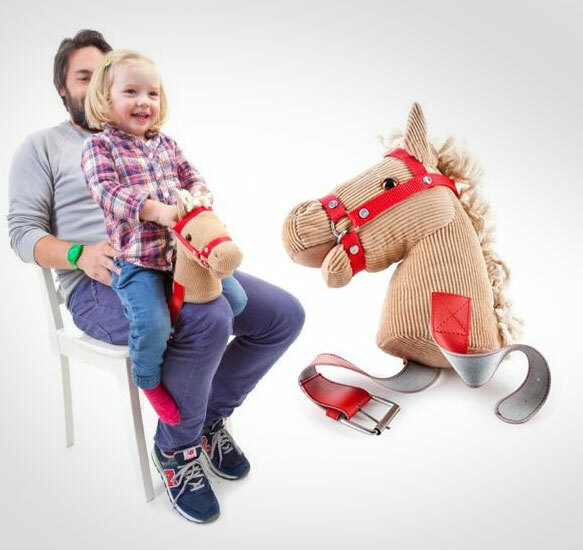 Your child can then hop on your knee and grab right onto the handle on the back of the horses neck. 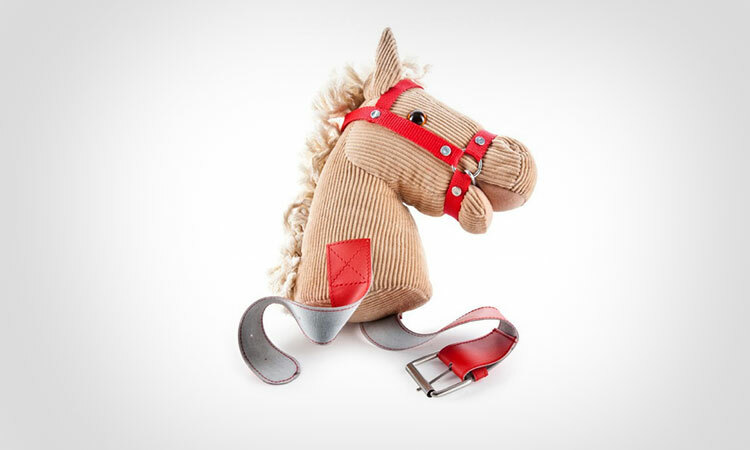 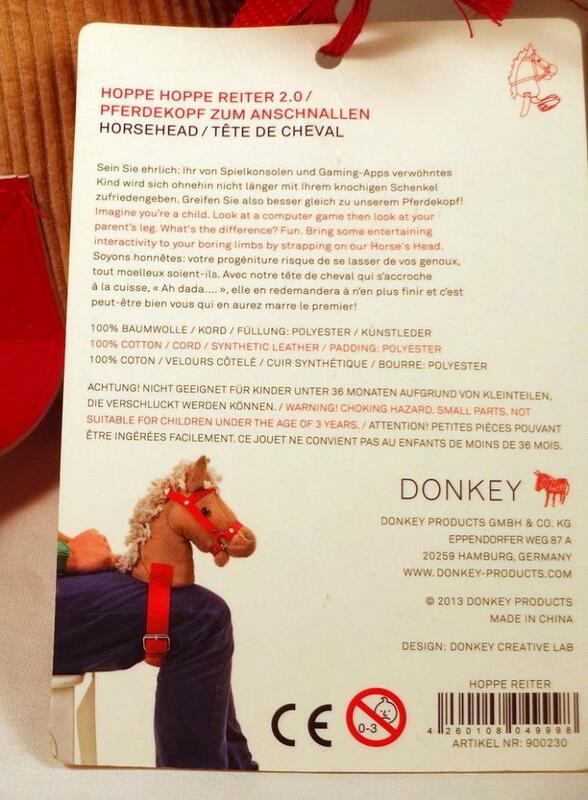 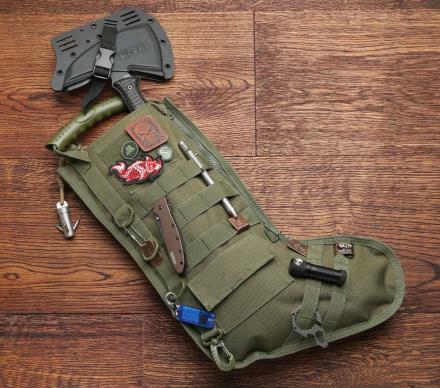 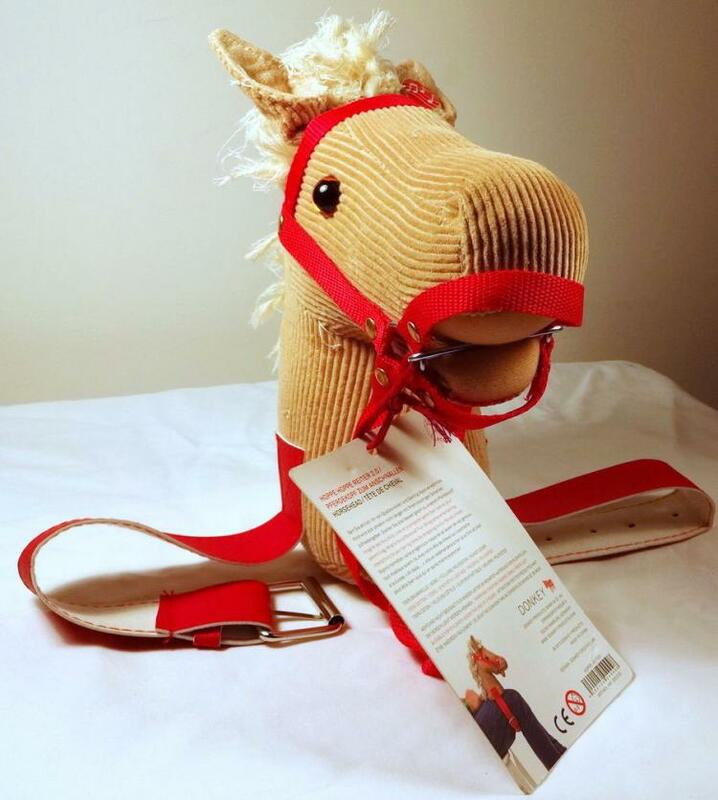 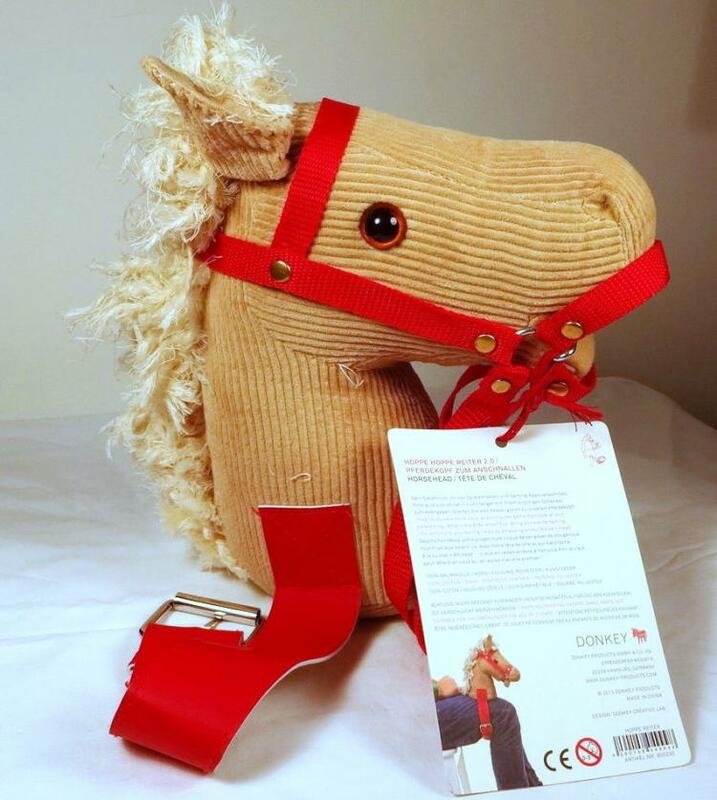 Designed in Germany, so you know it has the durability to be handed down generation after generation, the Knee Horsey is made from durable corduroy, has a nylon and metal strap, and measures 10.25 inches tall x 9 inches long x 4.25 inches deep.